Sign up and get access to "Get the Green Light"
*I won't share your information with anyone, I promise. 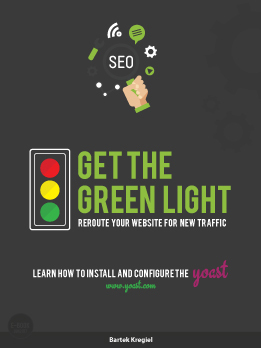 I take you through the steps of How to install and activate Yoast SEO Plugin. I show you step by step How to configure the plugin to get most out of it. You learn how to configure and apply the setting from the plugin to your posts and pages. You will learn how to make your posts and pages shine the green light. A coffee loving, design driven photographer, that is not afraid of spiders, small spiders. I’ve been a graphic designer for the half of my life, it’s my greatest passion. I love every aspect of it, concept, planning process, and the design in itself. My web design and WordPress journey began after the first WordCamp I have attended. The power that this platform gives to the website owner and the designer/developer is grater that it has ever been. Why do I use WordPress as a platform for websites I create? It’s simple, WordPress is free and community driven, the amount of contributors grows every year. This is why over 1/3 of websites in the world run on WordPress. I have also been doing photography for a long part of my life journey. I do corporate, portret and product photography. When I take pictures, it’s like a design process. each and every shot has to be planed, background surrounding the main object has to be design, and each photo has to be perfectly executed. In recent times I have also began a journey of videography. Many of my customers like the option of choosing me for their website design and photography, just because it is so much easier to hire one person to take care all of the aspects of the website. Design and photography are not the only things I greatly enjoy in life. I am a passionate cook and LOVE delicious coffee. In fact I love coffee so much, I began to roast it. There’s nothing better like a freshly roasted Geisha, or perfectly blended Espresso. Please enjoy my website, if you would like us to work together on a project shoot me an email, and if you would like to try my delicious coffee, please go to FaceBook and look for Chiltepin Coffee, there you will find my latest photos, videoclips and coffee availability. If you’re a small to mid-sized business, or an individual in need of accurately reflecting your business, I can help. I am a passionate graphic designer, with years of experience in web design and photography. Whatever your needs are, be it a personal blog or online store, I can create a beautiful website for you. And if you need a photographer to take pictures of your office, products or employees I can do it for you. You don’t have to worry if your website is up-to-date or backed up, I will do it for you. I will make all the necessary updates to make your website secure. Any changes, from adding new pictures to formatting content, whatever your needs are. Servers sometimes crash, and if your website is not backed up, you may lose your content. I will backup your website regularly so no matter what happens, a copy of your website will always be secured and ready. I use WordPress and the Genesis Framework in all my projects, which makes your website very easy to manage and upgrade. I can help you with setting up your website, choosing the right theme and then teach you how to manage and use it. I will help you to get your website SEO Ready. I will make subpages optimized for easy discovery by search engines. “Bartek created a new website for Forma, Inc., an architectural based firm. He satisfied our requests on time and within our budget resulting in a website that is far superior to our previous one. His knowledge, experience and intuitiveness provided a smooth design process and launch of the new Forma website. 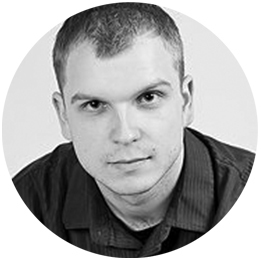 We really appreciate all the time he devoted to the development of the website as well as after it was done. We couldn’t have found a better web designer!–Paul Florczak Owner Forma INC.